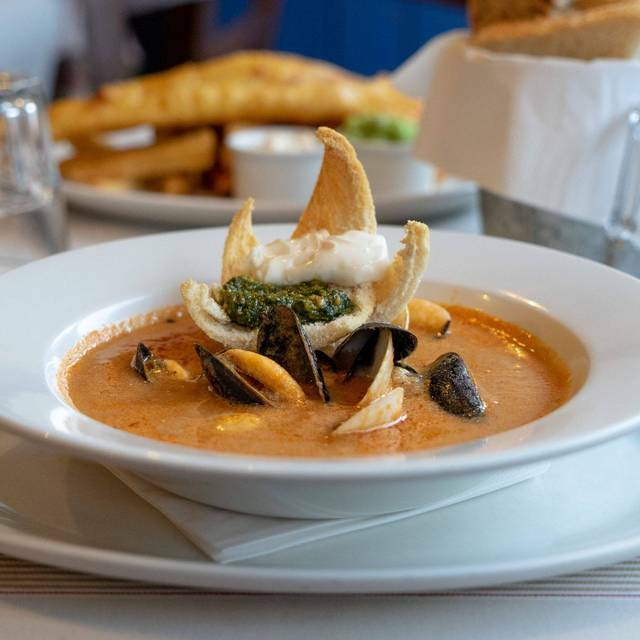 Fishers Restaurant serves the freshest fish and seafood just landed by fishermen across the South Coast. 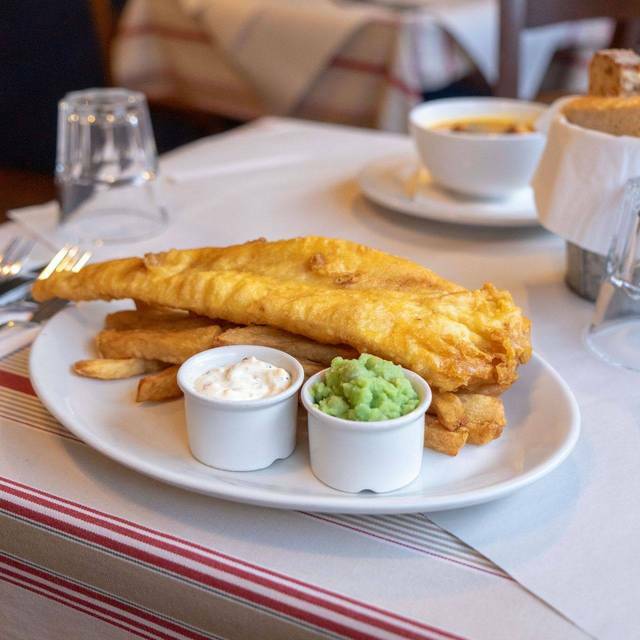 The breadth of Fishers daily changing menu includes influences from the Med, Asia and good old blighty, as well as the classics of shellfish platters, fish & chips and our famous fishcakes. 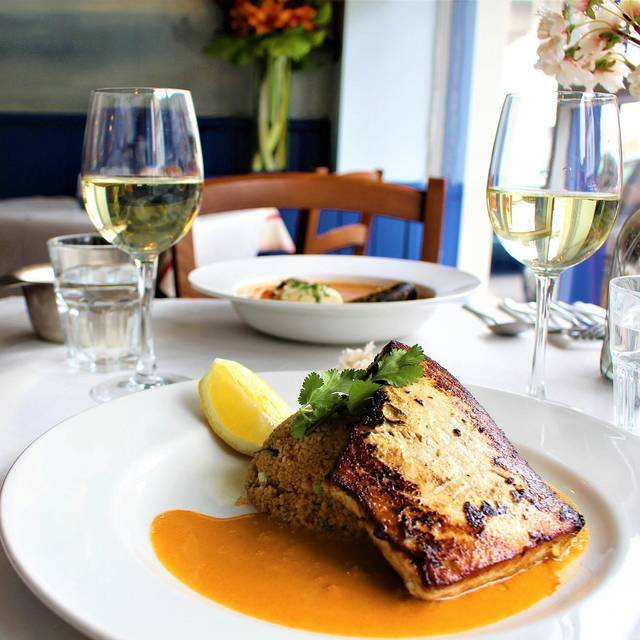 Fishers combines the intimacy of a neighbourhood restaurant, with a polished menu and attentive, personal service. 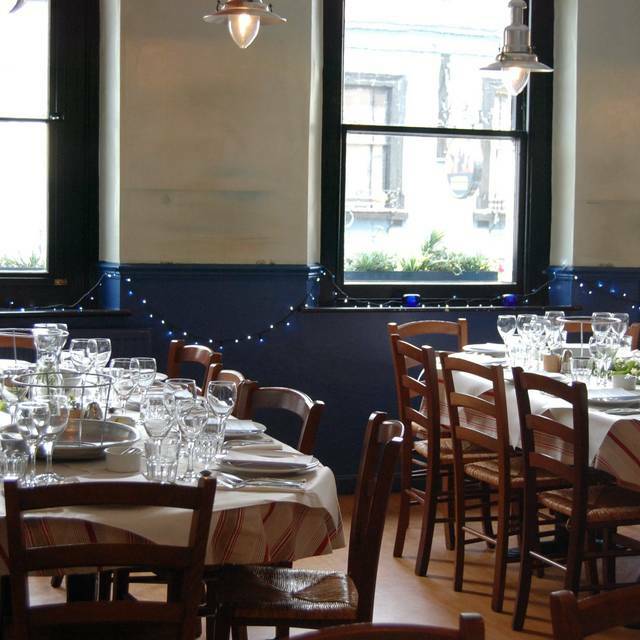 The entire menu is sourced seasonally, sensibly and ethically. Fishers Restaurant is located in the heart of Clifton Village, Bristol a beautiful Georgian shopping quarter featuring a plethora of independent boutiques, hotels, shops, delis and jewellers… Just a stroll away from Brunel’s Suspension Bridge, Royal York Crescent, the Zoological gardens and Durdham Downs, Fishers is the perfect place for a lunch interlude or a destination dinner. The hot shellfish platter was a bit of a disappointment, paying £8 for two crab claws that we could hardly see. The rest of our group had fish which they all thoroughly enjoyed. The service was not good, very slow and at times I felt we were an inconvenience! Will try somewhere else next time I want fish. We really enjoyed our meal at Fisher's, but the service left something to be desired. It started out ok, but we ended up waiting over half an hour to get a dessert menu (in the end my husband went and got his own from the front of the restaurant), and then took a while to order the dessert. At the end of the night, we sat around for quite a while before giving up and going to the front to pay, since no one brought our bill or asked if we were gone. We spent probably 3.5 hours there and could have easily been there an hour less if if it hadn't have been for the slow service at the end. This was our second visit to this restaurant and we weren't disappointed. Food was great, atmosphere good, will visit again next time we are in the area. Beautiful food in quiet location. Good choice of fish and non-fish meals and unfussy service. Excellent food and friendly, they adapted well to little people (son 1yr) and didnt realise they do a small quantity of non-fish items on the menu, which suits well as most of my friends dont like fish. The lemon possett was devine and far to good to share. Cant wait to go back! I would absolutely recommend. What a restaurant , fabulous food, fabulous staff, will be returning as soon as possible. The seafood sharing platter was out of this world! The extensive fish menu was just what we wanted. Lovely staff and good communication when I was setting up the birthday meal. Food really excellent and well presented. We had the fish platter for three and although the food was good it consisted mainly of mussels with one large prawn each , one medium prawn each and one scallop each. Chips in a mug is a pet hate of mine. Seems like a reason to give a tiny portion and indeed I counted 10 chips in total when I would have appreciated a few more. Unfortunately we were next to the door on a particularly cold night and every time the door opened there was a very cold draft of air that hit us. The service was good but it seemed a little bit expensive for what was not a great deal more than a large plate of mussels. I have eaten here before and it was much better than this experience. Good value for money if you manage to use their lunch offer or late dining offer. 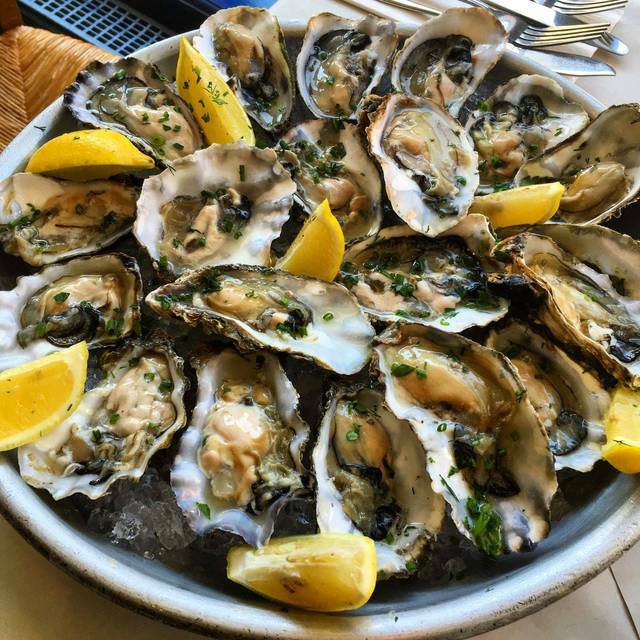 Oysters are really tasty, but the dessert selection is very limited, especially when using the offer. The staff were friendly and attentive. The food though was disappointing - it was the smallest portion of fish I have ever seen! On top of that most of it was batter rather than fish. This meal was taken off the bill with no question but it should not have been served in the first place. Good food but quite pricey for what you got. No bread with the fish soup. We have been coming to Fishers for years now and whilst the food has always been good the service has varied depending on who is working. However, it will not stop us from coming and now that the website has been improved I am able to book a table on line on a Friday where as whilst I could book on line any other day it refused to allow a booking on a Friday. I’ve been coming to Fishers for many years. I love that there are so many GF and DFOs. However I was a little disappointed by the quality of the food this evening. The extra supplements for the battered prawns and also the fish and chips were not justified in my opinion. The chips were always something to look forward to but not tonight. We are planning to return this week and I will be hoping this was just a blip. Our table was at the edge of a dividing wall, felt tack-on and uncomfortable. Some bits of food were over cooked and other bits undercooked (and inedible). Staff seemed rushed and flustered, like they were managing too many tables. So rushed they did not offer more drinks when we were empty and we waited for the pudding menu which never came. Food was over priced, poorly cooked and service was minimal. Have been to Fishers several times before but this was a very disappointing experience. Slow service, not helped by being sat upstairs, grumpy man in his own sat behind us complaining of being cold and really not bless eating off the set menu it’s overpriced especially for the portion size. Annoyed to have 10% added to the bill when service did t warrant a tip. Only positive, the smoked mackerel pate starter is amazing. This was our first time at Fishers. One of us is a bit fussy about keeping to a low carbohydrate diet so a good fish restaurant was idea. 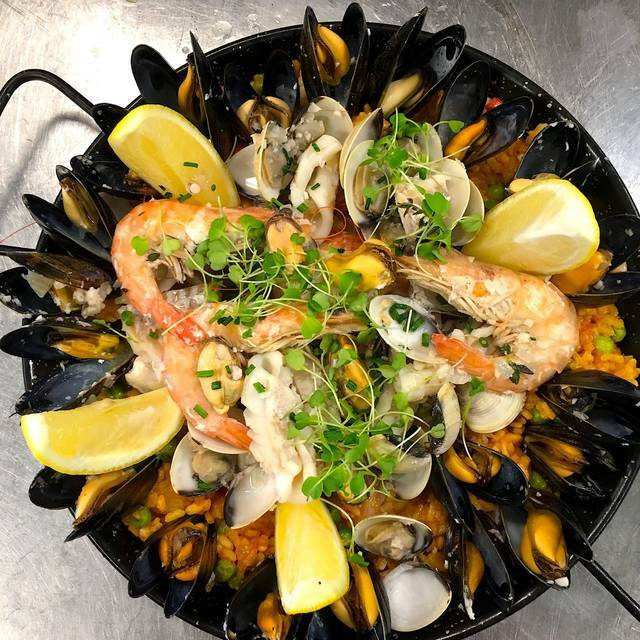 Fishers is a no-nonsense environment with excellent fish dishes. Staff were helpful and very willing to adjut dishes to suit my requirements. Partner had the sole which was presented simply with a delicious cream sauce. I started with very good, fresh whitebait cooked classically in breadcrumbs followed by sea bass with a tasty pesto dressing. All was accompanied by a vermentino from Pulgia at the bottom end of the wine list but delightfully crisp to compliment the fish. Certainly somewhere we will return to and explore their menu further. Lovely staff member greeted us. Table wasn't great cos close to the door. Two lovely starters of scallops. Perfectly cooked. My Mum's starter of devilled whitebait was ok but certainly not devilled. For mains we were brought the wrong dishes. The right fish but wrong accompaniments. Quickly rectified but by that time the small ish portion of cos was over and a bit dry. The food was delicious and I am already planning on going back soon. I had sea bass which was cooked beautifully. The set lunch menu was great value for money with a good choice for dishes. Our waitress was attentive and friendly. I wouldn't hesitate to recommend a meal at Fishers. Our reservation was on a Tuesday lunchtime in February and the restaurant was unsurprisingly quiet. Food was excellent and the service attentive and friendly. They coped very well with an intolerance of garlic, onion and gluten - no fuss whatsoever and adapted dishes to suit. Went with a business colleague this week and had a very pleasant experience, I started with the battered king prawns and my colleague had the Mussels both were very good, it took a time for our order to be taken but the food came quickly after ordering and was clearly freshly cooked. For mains he had Tuna and I had fillet of Sea Bass both were excellent, to wash it down we had a bottle of Viognier which was very acceptable for Dessert I had Lemon Posset which was delicious and my colleague had the Crumble which he thoroughly enjoyed, it was a very pleasant experience. Good value for the early evening menu but not a lot of choice. Lovely situation, delicious food, fabulous service - would go again and again and again! Lovely food and wine. We will be back soon. Thank you. Would love another veggie option (I eat some fish and no meat/polutry). The cod I had was divine! Only slight negative was having to wait for the toilet as only one! Informal, pleasant environment reminiscent of a beach shack cafe. Friendly, helpful staff and service was very prompt. Excellent ingredients well prepared and not overcooked (always a risk with fish) Prawn and scallop starters both excellent. The cod main course was promising except mine was lukewarm. However, a replacement was produced very quickly. Reasonable wine at reasonable prices. Thank you Fishers Restaurant for a lovely evening. We were in Bristol for the weekend, visiting from London and were recommended Fishers by a friend who lives locally. We were looking for good, local seafood and we certainly came to the right place. The staff were attentive and friendly and made us feel welcome straight away. Warm, cosy atmosphere. The type of restaurant that makes you want to stay and have another glass of wine after a meal. 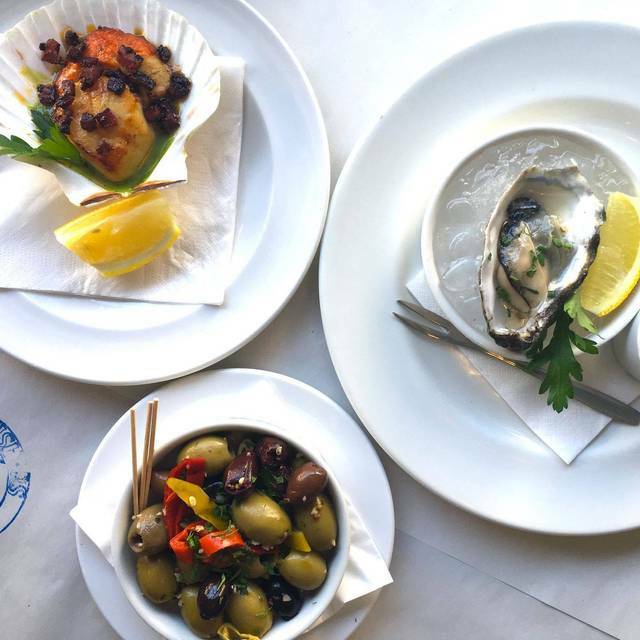 My partner is Italian and commented that it's the first time he's had such fresh, tasty seafood in England... Something that's hard to find in London as so many places will serve you up from-frozen seafood. Would highly recommend the Oysters and the seafood sharing platter. 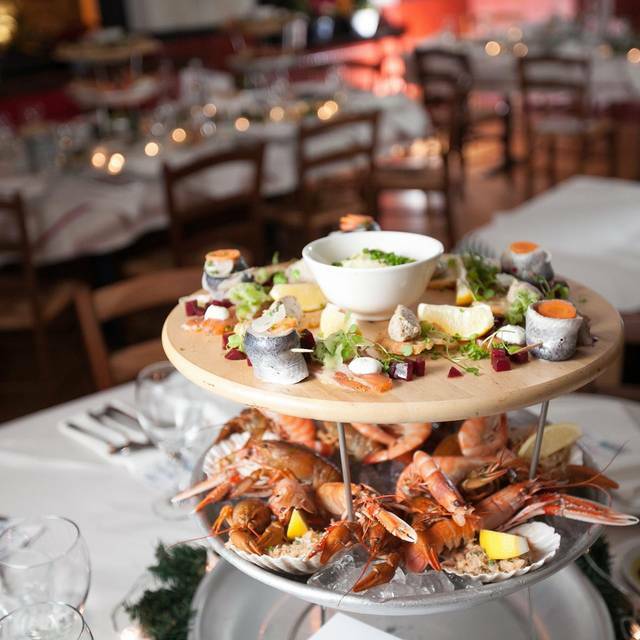 Very reasonable prices when you consider what you're getting - £50 per head with a bottle of wine, a wide selection of seafood and dessert. Fishers is great - anything on here that could be seen as a negative are very minor things and come down to my personal taste rather than anything they are doing wrong. Firstly the food is stunning, fresh, perfectly cook and well presented. Wholesome and filling but high end without pretensions. The staff are attentive and welcoming. The lighting is a little bright for my liking and the table cloths a little cheap and cheerful for the money you are paying but these are meaningless niggles really. It's not the cheapest restaurant in Bristol but they are doing something very right to sell be there when so many others have failed. Can't wait to go again. 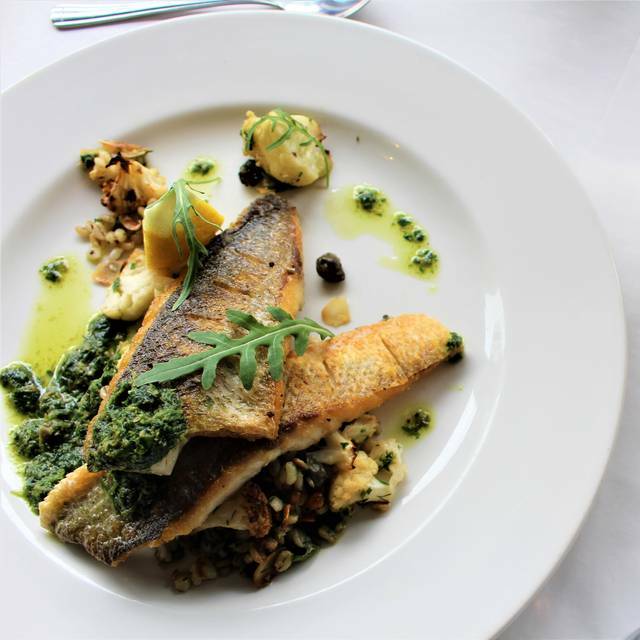 I believe the food changes daily and the menu evolves as they select the best fish of the day so yo can visit quite a few times and always find something interesting to excite your tastebuds.